March has many notable celebrations, but none more important than that of International Women’s day. It’s a day where women from all over the world are celebrated for their achievements, raising awareness against biasness and taking action for equality. The celebration in Johor Bahru was no different and was held at IOI Mall in Kulai, recently. With appearance of Guest of Honour Hannah Yeoh, Deputy Women, Family and Community Development Minister as well as Johor Women Development and Tourism Committee Chairman Liow Cai Tung. The event included performances by traditional dance groups, photo gallery exhibition that focused on women around the world as well as booths that were centred on facilities and products for women by women. “The important thing we need to emphasise is when we talk about the theme of Women’s Day 2019, ‘Balance for Better’ which aims to inspire women to balance their commitments and responsibilities in every aspect of their lives. In order to realise this theme, we have ministries and various special portfolios that protects and promotes women’s position. We are always looking for ways to improve the various policies. We not only strictly eradicate any policy that imposes on women, but we are willing to introduce policies that give women an advantage,” said Hannah. 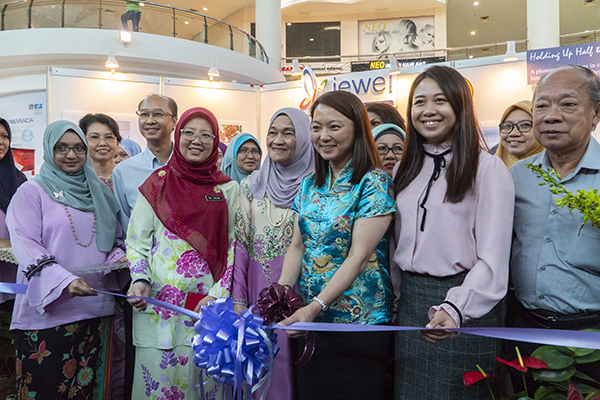 “Women’s day celebrations also show serious interest and concern over the government’s view of gender mainstreaming in the areas of national planning and development to provide women with greater opportunities to achieve their potential in helping to realise the government’s aspiration to develop role models for the nation,” added Liow. As important as International Women’s Day is, don’t forget to take the time out of your busy schedules to remind the women in your lives daily, how important they are.